Discover the exciting history of Central Minnesota with stops to museums, historical homes and much more. Head to Darwin to visit the Twine Ball Museum. This giant sphere, which was created in 24 weeks by just one man, measures 13 feet in diameter and weighs more than 17,000 pounds. Stop in Cold Spring for a pint at the Third Street Brewhouse. Try one of Cold Spring Brewing Co.’s four featured year-round beers or a seasonal selection. Perhaps a sweet treat is more your taste? Then stop into the award-winning Cold Spring Bakery for a delicious treat. Call ahead to schedule a bakery tour or to have your treats ready when you get there! 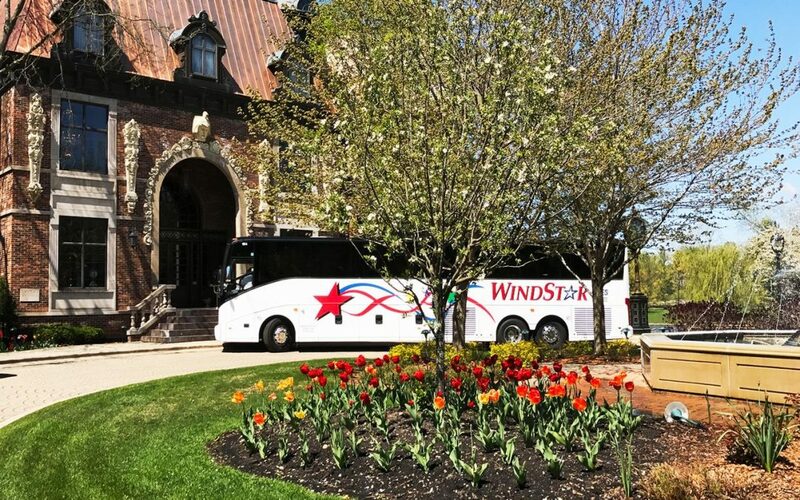 Immerse yourself in the unique botanical beauty of the Munsinger Clemens Gardens. Awaken your senses, delight in the natural beauty, and stroll the winding paths and brick pathways as you experience this dazzling St. Cloud treasure. The gardens showcase shade-loving plants, roses, unique blooms and seasonal favorites. Groups are always welcome at St. John’s Abbey, located on the campus of St. John’s University in Collegeville, and encouraged to explore the miles of trails, stroll the campus and join the monks for prayer. Schedule your group and receive a complimentary tour of the Abbey and Great Hall led by a monk. The Abbey Church commands a central presence. With its towering bell banner and three-story wall of stained glass, the Abbey Church is among the most striking pieces of 20th-century architecture. The Hill Museum & Manuscript Library (HMML), also located on the St. John’s campus, is home to The Saint John’s Bible, the first handwritten, illuminated Bible commissioned in the Western world in more than 500 years. The library also has the world’s largest archive of more than 100,000 medieval manuscripts on microfilm and digital images. Original folios from The Saint John’s Bible, rare books and ancient manuscripts are also on display. 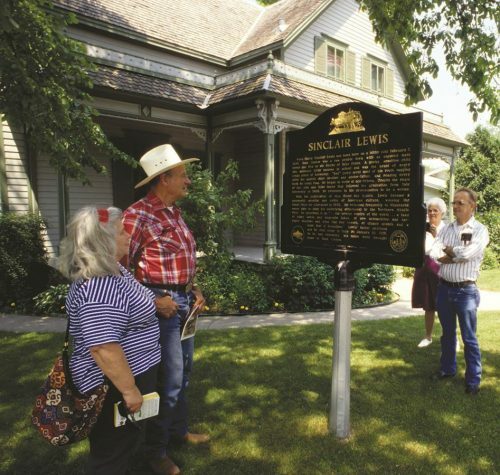 Tour the Sinclair Lewis Boyhood Home in Sauk Centre. Lewis was America’s first Nobel Prize winner for literature in 1930. 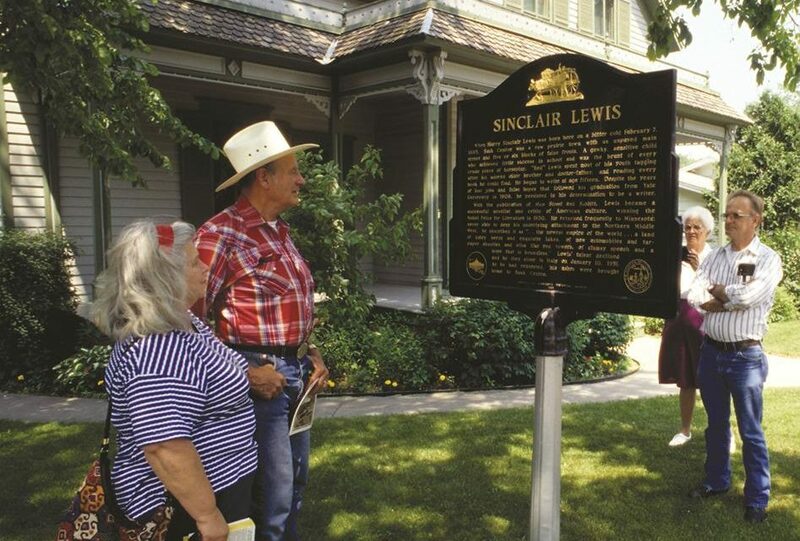 Narrated guided tours are approximately 25 minutes long and take you through the restored turn-of-the-century home where Sinclair Lewis lived with his parents and brothers. 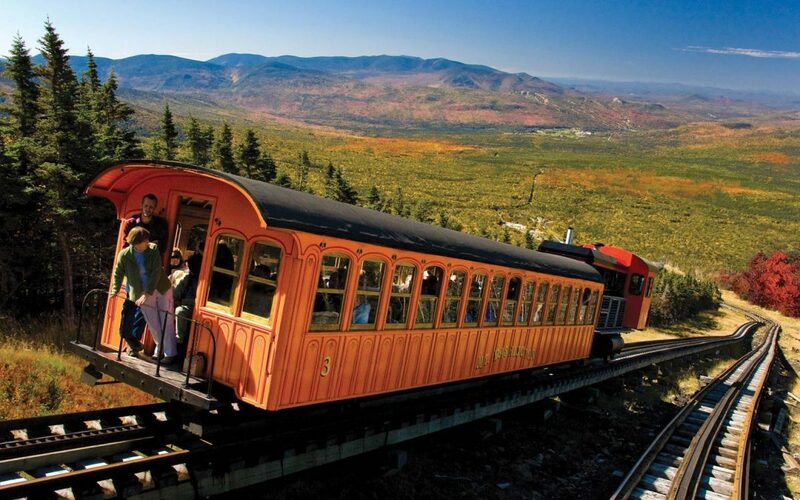 Learn how his hometown inspired Lewis to write the novel “Main Street” in 1920. In Alexandria, the Legacy of the Lakes Museum celebrates Minnesota’s lake traditions and legacies, and is committed to their preservation for future generations. 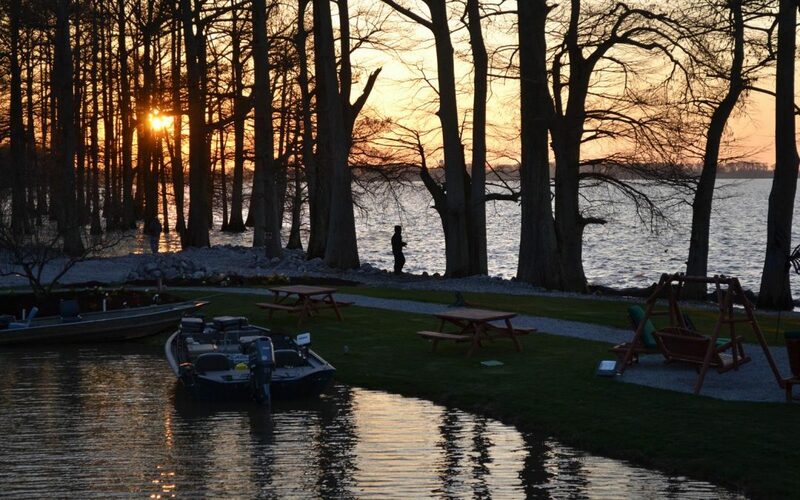 Visitors will discover classic boats, grand hotel and resort history, fishing memorabilia and much more. 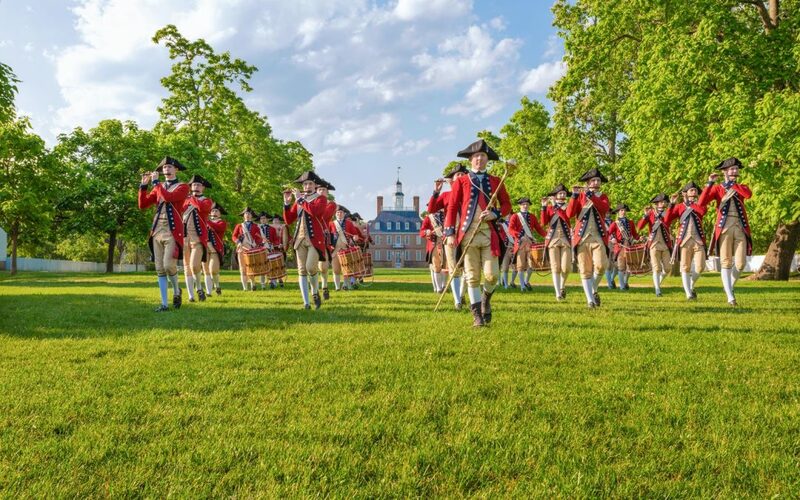 Visit Fort Alexandria to see a replica of the original fort, built in 1862, to provide protection from the Sioux Indian uprising. Visitors will see a log general store, log cabin, church, 1885 school house, and a large agricultural building with exhibits. Included in the fort is the 40-foot Viking merchant ship Snorri. Charles Lindbergh’s 1927 flight from New York to Paris launched an aviation revolution. Stop in Little Falls to tour the Charles A. Lindbergh Historic Site. This includes his boyhood home and visitor center exhibits including a “Spirit of St. Louis” flight simulator, and an interpretive trail along the river. The Minnesota Military Museum at Camp Ripley houses historical military exhibits dating from the mid-1800s; weapon, uniform, medal and insignia collections; and an outdoor area with artillery, aircraft and military vehicles. Nowhere in Minnesota are the experiences of military men and women so vividly captured and interpret-ed for the public as at this museum. Exhibits depict the stories and contributions of Minnesotans who served in all branches of service, in times of peace and war, from Minnesota’s early years, through the World Wars, to the conflict in the Persian Gulf, and today. Extensive outdoor displays include tanks, helicopters, and several towed and self-propelled artillery pieces. The Crow Wing County Historical Museum offers restored sheriff’s quarters and an old county jail converted into a museum, county history, and American Indian, lumbering, railroad and mining exhibits. Escape on the majestic waters of Gull Lake from Brainerd aboard Destiny Cruises’ magnificent luxury yacht, the North Star. Destiny offers day and night public cruises, fine wines, domestic and premium beers or signature drinks while relaxing the day or dancing the night away. An outdoor observation deck allows guests to take in the scenic Gull Lake landscape, while the indoor salon ensures maximum comfort for everyone aboard. Observe the process of candle making in the factory while touring Kendall Candles in Pequot Lakes. Kendall manufactures, sells and distributes 500 candle designs, sizes and shapes and 70 fragrances. Visitors are invited to either browse in the retail store or customize their own candles by selecting their favorite fragrances and colors, sizes and shapes.